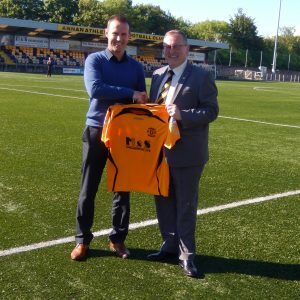 Annan Athletic are delighted to announce that Peter Murphy has been appointed manager of senior football at Galabank. Peter, 36, made a record of over 400 appearances for Carlisle Utd. and was last signed by Ayr Utd. Peter brings a wealth of experience and enthusiasm to the task and we look forward to our new journey on and off the park commencing immediately. Peter has agreed an initial 2 year contract with a further 1 year option and will take the role of player/manager in the first instance.